This process is done at your domain provider. Follow this link for further instructions. If you are having difficulties with this step, don't hesitate to contact us directly. When you have redirected you domain to one of our servers, you might be promp with the following window. This means that the domain is pointing at our server, but there is no site configured at the host. 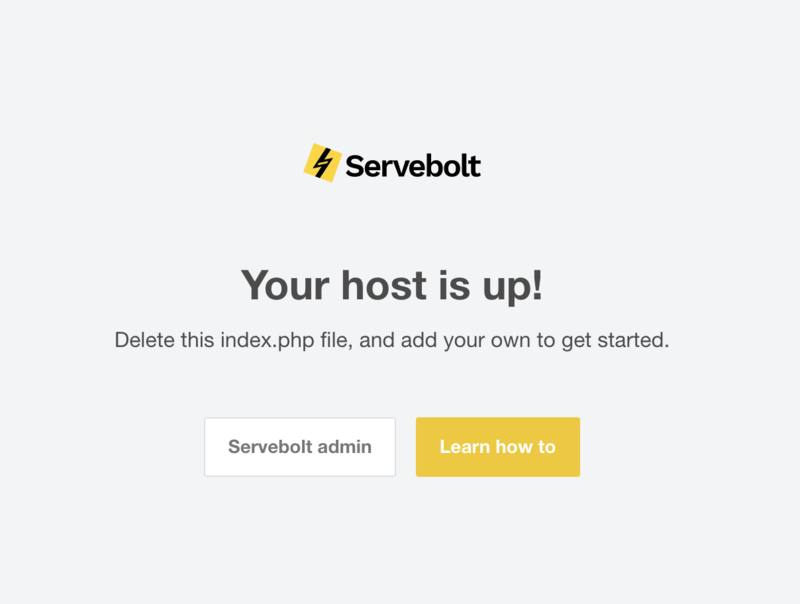 Therefor it is displaying our default homepage for empty hosts. The final step in the sequence is uploading you site to our server. This can be done through SSH or SFTP. After creating a host, you receive an email with all the necessary information. To upload the site with SSH you have to go into your terminal an rsync the directory to the hosts public directory. #remark the dot, this tells the host it from *this* directory you want to transfer from. #This follows the password prompt. Enter the SFTP password from your email. Upload through FileZilla is extremely simple. We have a line of filezille tutorials that will help you upload your site to the server.